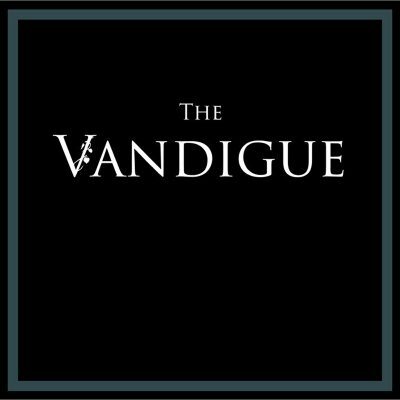 The Vandigue’s self-titled record seems to pull from an eclectic mix of potential influences, resulting in a densely stacked listening experience. The band consists of two guys, Devon Smith and Patrick Farrington, who have played together since they were children and are both formally trained musicians. Together, they hope to unify the world through music, beginning with the inspiration of the people around them. That goal may be a bit lofty, but their beginnings most definitely have potential. I thoroughly enjoyed listening to the product of their ambition. Ganja White Night and The Darkness along with some strings, classical elements and prog. The first two songs alone had me thinking about all kinds of different music, but all of that was just an introduction to the variety The Vandigue offer. The opening instrumental track on the album is complex and reminds me of some of Explosions in the Sky’s shorter pieces. It begins a bit slow but culminates into something you’d hear accompanying imagery in a commercial with an inspiring message. It’s a good beginning, but set me up to expect something I wasn’t going to get (which turned out just fine). My favorite bit of music on the record, by far, is “Pigeon Parade.” I loved listening to this song. It feels so much larger than anything else on the album. It’s longer, too, but that isn’t what I mean. It dives deep, bringing everything together from the lyrics to the plethora of instruments and electronic components. The vocals are lights out and take me places similar in scope to Glen Hansard’s on the Once soundtrack.